Bombers InterchangeRyan Crowley and is possibly out for the game. Dockers InterchangeMichael Apeness and is possibly out for the game. Welcome to Domain Stadium for the Fremantle v Essendon Round 11 clash. 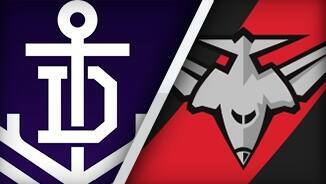 Fremantle pulled up anchor from the bottom of the AFL ladder after a breakthrough 79-point victory over Essendon on Saturday night - the club's first win in 2016. The last-versus-second-last clash at Domain Stadium had the potential to be a Titanic struggle and the home side avoided its iceberg moment. Perth's port club had plenty of contributors in its 20.6 (126) to 6.11 (47) triumph, which snapped a streak of 10 consecutive defeats and should silence the tanking debate. David Mundy skippered the Dockers' ship well with 33 touches, while Lachie Neale (42 possessions) and Michael Barlow (26 touches) were also prominent. Tommy Sheridan and Connor Blakely combined for 56 possessions. 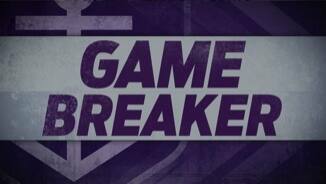 Matthew Pavlich, Michael Walters and Chris Mayne all finished with three majors for the Dockers, who had 13 separate goal kickers en route to their highest score of the season. 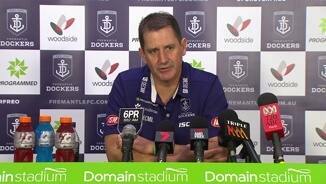 But coach Ross Lyon was not getting caught up in the winning feeling. "At the end of the day it's a losing season, isn't it?" he said. "Zero-22, one-21, two-20, six-16 does it really matter? I'm not sure it does. "What's important is accepting the challenge, keeping perspective and working hard and understating there's a bigger picture here about our football." 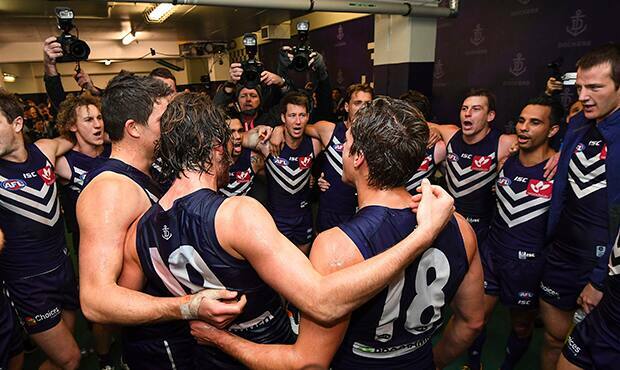 Fremantle set the tone by booting the first four goals as it lead by 22 points at quarter-time and moved above Essendon and the Brisbane Lions to be 16th on the ladder. Essendon's Joe Daniher presented well to boot two goals amid limited supply, while Zach Merrett gathered 36 disposals and Brendon Goddard had 24 touches. Bombers star David Zaharakis' excellent form this season did not make it over the Nullarbor. He did not get a stat in the opening term and finished the night with only 11 touches opposed to Barlow. 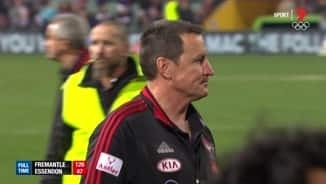 Bombers coach John Worsfold left a ground he knows well bitterly disappointed. "I thought we looked as indecisive and (showed) a lack of skill and footy smarts which hasn't been there," he said. "We haven't lost that but it was definitely off tonight. Whether that's a sign of a little bit of wear and tear in the boys … they have been enormous so far and that's been the first game when it looked like they couldn't dig deep and find anything." Earlier, former Docker Ryan Crowley started on the Bombers' bench, but got a big cheer from the Freo faithful when he entered the fray seven minutes into the opening term. He got a standing ovation when he came from the ground late in the final term after injuring a hamstring. Anthony McDonald-Tipungwuti will likely come under the Match Review Panel's microscope this week for a first-quarter bump which left Mayne dazed. 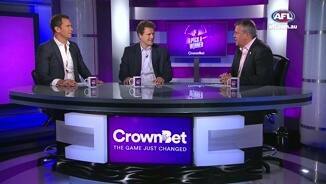 Fremantle: Key forward Michael Apeness' injury woes continued. Back in the side after a near two-year absence, the 21-year-old left the field in the third term with a broken collarbone. Chris Mayne took a long time to get up after a heavy first-quarter collision with Bomber Anthony McDonald-Tipungwuti, but returned to play out the rest of the match. Essendon: Veteran onballer Ryan Crowley pinged a hamstring late in the final term and left the field in the hands of trainers. 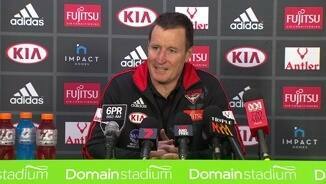 Coach John Worsfold said the 32-year-old would miss at least three weeks, but possibly more. Essendon will be in the Friday night spotlight next week against the Hawks at Etihad Stadium in a match which both sides will enter off six-day breaks. 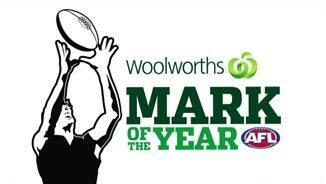 The Dockers will be looking for back-to-back wins in Brisbane for their clash against the Lions on Saturday.